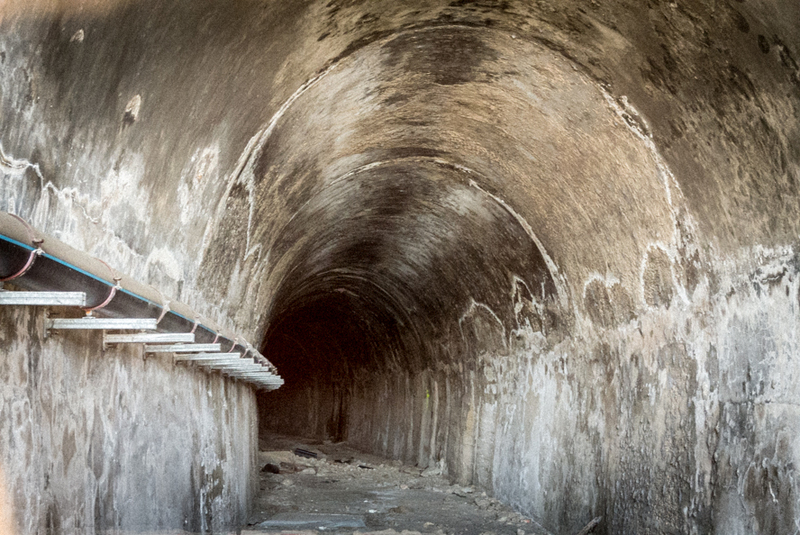 An intricate underground tunnel system used to connect Palma’s old harbour with the Plaça d’Espanya where the overground train station of the Ferrocarriles de Mallorca was situated. Today, one can still see the tunnel exit below the Cathedral even though it is now bricked-up. The line was built for goods services and was inaugurated in 1932. The underground train service was discontinued after 1965; after that the goods service continued overground. The photo was taken in Palma, Mallorca, Baleares, Spain. The date: April 10th, 2014.